Our world is shifting quickly now. We’re seeing it in so many ways. From raising your own personal awareness to seeing governments and countries changing the way they are doing things, we are starting to realize just how connected we all really are. Individuals are becoming very aware of their pursuit of happiness and their desire for something greater than just themselves. Bhutan, a small country in Asia, is measuring the gross national happiness (GNH) as an attempt measure the quality of life or social progress in more holistic and psychological terms than only the economic indicator of gross domestic product (GDP). In business, we’re seeing shifts in many areas. There is a shift from secrecy to transparency through the power of social media for example. And companies are moving away from a competitive mindset to a more collaborative attitude by working with strategic alliances and partnerships. T. Harv Eker says that business is a mindset and he’s right. Everything starts in our minds—our imagination is our most powerful tool. Creating and bringing value into the world is the result of selling your ideas to others. Giving is the way to an abundant mindset. So what’s happening to make such radical changes in the way we do business? People want a bigger purpose now—for themselves and for what they choose to support. The general public will no longer tolerate poor customer service, damage to the environment, and are realizing the influence they have by sharing their opinions online. A company needs to show how it is contributing to the world otherwise people will not be hooked. And by this, we aren’t talking about writing a check to a charity. We’re talking really being involved and caring about a cause. This is cause marketing (in which over $1B has been spent per year since 2005.) There is a rising expectation of social responsibility from savvy consumers. A new business model is emerging that I call Contributism—which is when contributing to a greater purpose is built into the way a company does business. A great example of the Contributism model is TOM Shoes. When you purchase a pair of shoes, a pair is donated to a child in need of shoes. So even though they are more expensive, and maybe not the most attractive styles, they make a statement and the customer feels good buying these shoes. There’s a cause behind the product to which the customer can contribute. Customers are the driving force for any business but now with the advances in technology and total transparency, they also can easily become an active part in supporting—or damaging—your brand. So you want to make sure you have Raving Fans that are out there telling all their friends about your business because they believe wholeheartedly in what your company is doing and represents. Within the business, employees want to feel that they are a part of something bigger as well. When they are engaged in the vision of the company, one of our humanistic needs is met—giving us a reason for doing what we do. Competition, fear, and greed are on their way out. Taking its place is contributism—collaboration, connection, and abundance…all of which are seeping into our very core and spreading into the business world. And the time is ripe for this new way of thinking. Contributism is the path to a prosperous future for our planet. 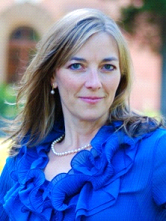 Karin Volo, an expert in personal development, is known as a Dream Life Mentor and Tough Transition Specialist. She is also the transformational author of the Bringing Joy series, and one of the contributing authors to the best-selling books, Turning Points and Change One Belief. She uses her professional skills and draws from her personal experiences to help individuals and companies thrive through difficult transitions. Karin’s passion is helping people better their lives through sharing all she has learned on her own journey. Her purpose is to inspire and teach others to thrive, to create their dream lives, and to learn to live joyfully. To find out more about how you can take your business through an evolutionary process using contribution as a key element, go to www.eVoloshen.com to get a free report, Taking Charge of the Future: A New Mindset For How We Do Business and find out more about the Voloshen System.